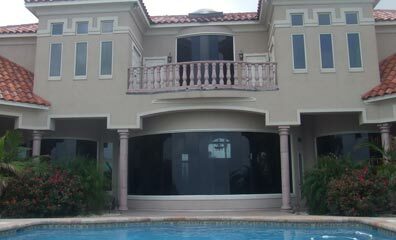 Granite flooring, medallions inside the house and sandstone columns, fountain, balustrading, pool coping, pool deck, etc on the exterior of this private villa. 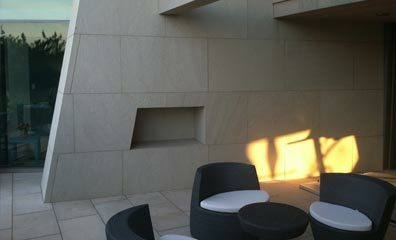 White Sandstone-flamed finish wall panels in 3" & 4" thickness will be rather difficult to install then to fabricate. 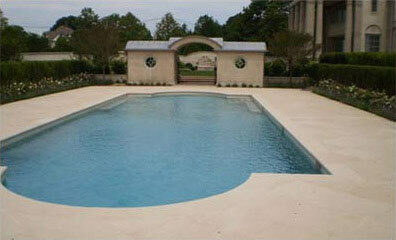 Thinner pieces were used on the floor and around the pool with 2" thick pool coping. 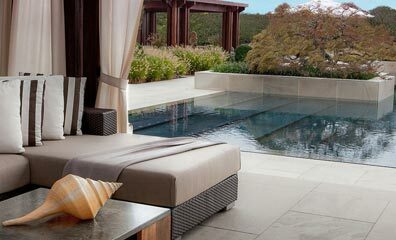 Thick pavers and cubic steps along with pool deck and pool coping was made in brown quartzitic sandstone in flamed finish for this multi-acre "Pink House" villa. 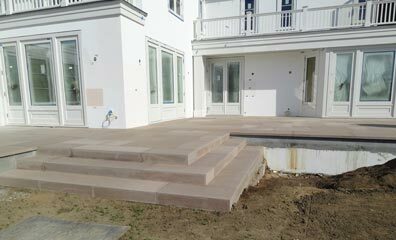 The house owner was very particular about grey veins on white sandstone which was specially selected for this project. 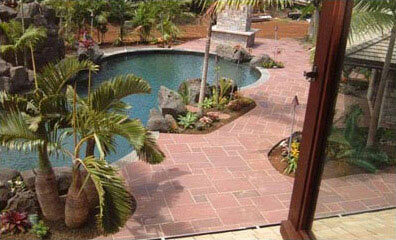 The pavers and stones around pool were all done in flamed finish. 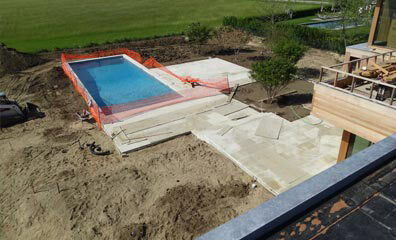 The front and backyard are being paved using white sandstone pavers in sandblast finish. 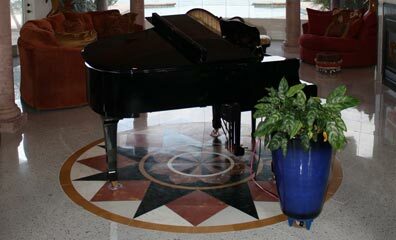 The treads and pool copings are done in 2" thick stone with eased and finished edges. 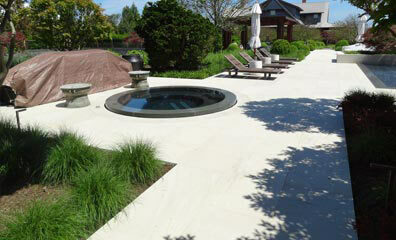 The natural finish chocolate sandstone gives a character to the natural environment of this outdoor pool area. This area was given a further face lift by using natural river bed pebbles in white color around the tree pits. The complete exterior of this villa was done in beige sandstone pre-fabricated to exact shape & size as per drawings of areas like pool deck, pool coping, pathways, patio, garden surround, wall copings, pier caps, steps and many more. This is our one of the finest jobs. 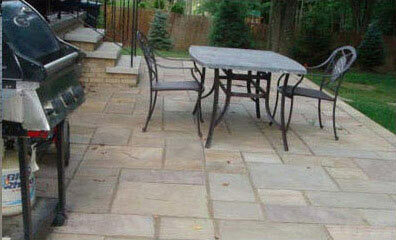 Multi Sandstone flags in natural finish with hand cut edges is used all around the house to create driveway, pathway, patio, steps and backyard. 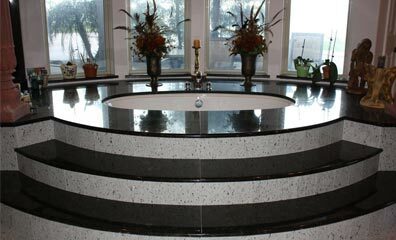 Polished Granite tiles have been lavishly decorating the interiors to the contemporary taste.